AN EXTREMELY RARE HANDWRITTEN letter by Jerry Garcia will be offered during a live auction event next month. 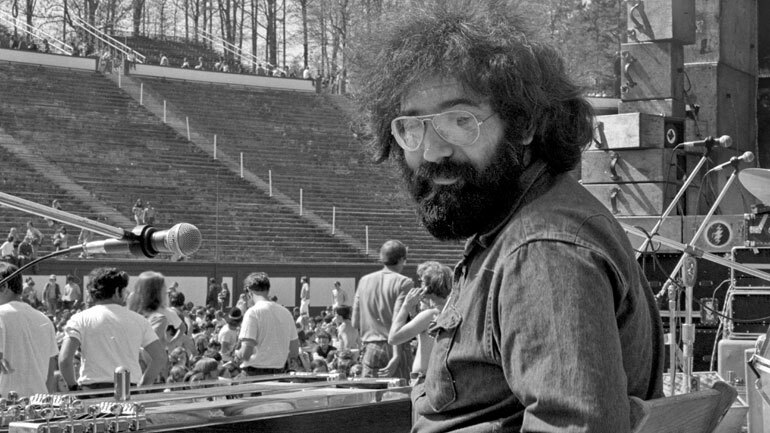 The two-part letter was written in 1982 to a former Vogue cover model, whom Garcia had met at a party in New York in 1980 while the Grateful Dead were in town for a series of shows at Radio City Music Hall. The letter includes a very detailed sketch of a recent performance by the band at the Greek Theatre, depicting the columns of the historic theatre, the band, (which Garcia labels “us”) and the audience (“them”). The auction item will be accompanied by the original mailing envelope, hand-addressed by Garcia, who notes that “this is the first letter I’ve written in years”. Bobby Livingston of RR Auction, the company arranging sale the letter, said, “the rarity of this handwritten letter cannot be overstated - research indicates no others ever being on the market. The letter is one of a host of rock rarities on sale in the Live Auction event, including Johnny Ramone’s 1965 Mosrite guitar, a signed photograph of Elvis Presley in his Army uniform and a signed portrait of the Beatles, taken at the Odeon, Southend in 1963. Details can be found at www.rrauction.com.